“…Starting in the fall of 2011, freshmen will not be allowed to attend any fraternity parties in the second half of the fall semester. Three days of rush week during January 2012 will be dry. Mixers will be prohibited for the first six weeks of the new member process, and each sorority can have two mixers a week for the remaining two weeks. The intent is noble enough; to curtail underage drinking and prevent alcohol-related crime and illness. To someone in the Greek system though, it sounds a bit scary. Let’s acknowledge the not-so-secret fact that a substantial amount of publicity, and recruiting, comes from freshman visiting houses during parties, where alcohol is readily available. What other time are they going to learn about the houses before rush (and Greek Week doesn’t count because it is a collective show of Greek pride by all chapters at once)? Some are already bemoaning this latest act as the death of the Cornell Greek system (and some hope for as much). First of all, it’s not. Cornell’s Greek system is much, much more regulated than the chapters that exist at my grad school, which are basically like street gangs with Greek letters. The system may only limp forward, but it will persist. Secondly, this isn’t the first time these plans have been espoused. In Scott Conroe’s book I Take Just Pride, one section details how in 1999, then-president Hunter Rawlings gave a speech to the Greek System where he espoused his belief that fully half of the houses on campus would likely close as a result of the execution of the Initiative and the establishment of a house system for upperclassmen. I have yet to see evidence that that has turned out to be the case. A similar intent was espoused by a residential initiative that Cornell launched in the late 1950s and 1960s (the goal there was to make small dorms that were like fraternities, but without all of the problems they cause). Another date that Greeks were terrified of: December 31, 1985. 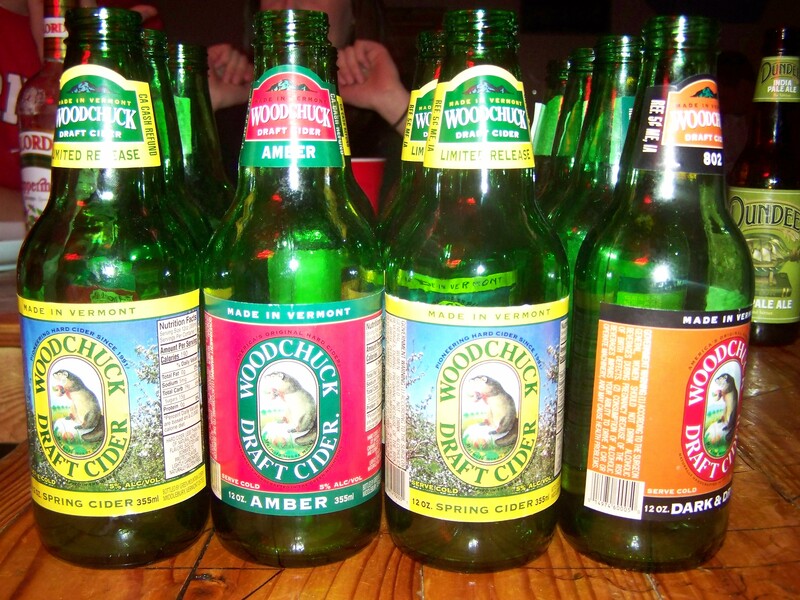 It was the date the drinking age in New York State went from 18 to 21. In copies of the Daily Sun from 1985, fears were expressed that this would ruin the Greek System, for many of the same reason people fear the latest proposals. But, drinking went underground and everyone turned a blind eye. Kegs were banned from open parties after an alcohol-related death in 1989, but the Greek System still persisted. Arguably, Cornell’s focus should be on a much larger scale. Fraternity parties are notorious for under-21 drinking, but it’s an issue kept behind closed doors. However, even more undiscussed are the house parties and club organizations, which are just as receptive to underage drinking. Sports teams, the Big Red Band, the Daily Sun, Glee Club…freshmen are going to drink one way or another. When the fraternities are prohibited, they’ll just migrate to the houses and private parties of Collegetown, which are mostly unregulated. I would suggest Cornell crack down on all organizations and do Collegetown foot patrols, but the thought of that is nothing short of Orwellian. Do I see a whole lot coming from this? Not really. There will be much maneuvering, and some face laws, but I don’t see a whole lot of change occurring. Everyone is going to look for ways to let things slide under the radar once again. If it somehow turns out that the Greek System is incapacitated by the new rules, I suspect it will only take a little waiting and watching until other student organizations or even independent groups of people will step in to fill the void of underage drinking. Cornell has somewhere around 245,000 alumni or so. It’s only fitting that an unfortunate few of our alumni err on the side of insanity. They might be acting as if they’re on crack, but most of their behavior can be attributed to them just being out of their damn minds. This entry details one of our finer members of the batsh*t insane alumni club: Erich Holt, PhD 1914. Erich Holt is one of several names he went by. He was born as Erich Muenter in Germany in 1871, but would adopt the aliases Frank Holt and/or Erich Holt later in his life. He moved to the U.S. and enrolled as a graduate student at Harvard (already famous for its whacko alums). In 1906 he was an instructor in German at Harvard College, living the life of a quiet and rather shabby looking married man. His wife died mysteriously of arsenic poisoning, and Muenter felt the sudden compulsion to flee to Texas (a slight discrepancy here; Morris Bishop claims he fled to Mexico), later emerging under his aliases (which from what I’m finding, were pretty interchangeable). Holt launched into a brilliant scholarly career, doing four years of undergraduate work in only one year at the Fort Worth Polytechnic Institute before coming to Cornell to take on PhD work. Holt graduated in 1914 and took on a position as…a German instructor . As you can see, he was really moving up in the world. Well hell, if this was just about alumni who’ve killed their spouses, I could probably pull a dozen names easily. However, as those late night TV ads would say, “but wait, there’s more”. 1914 was not a great time to be a German guy living in the good ol’ U.S.A. For one, there was that whole war in Europe thing going on. Some folks weren’t too inclined to be polite towards folks who could be showing German sympathies. According to Morris Bishop, on campus alone there were rumors of tennis courts designed to serve as gun emplacements, and stories of bomb-making operations in faculty cellars (428). The professor of Latin tried to expel the professor of German (not Holt) from the “Town and Gown Club” because of German sympathies – namely, he read a New York daily that was published in German. Well, Muenter/Holt was horrified by the war and all of the killing (not crazy). He decided that if he could stop all the munitions manufacturers, like J. P. Morgan, from selling to the Allies, he could single-handedly stop the war (kinda crazy). After realizing letters and arguments wouldn’t work, he decided to take action by bombing the Senate chambers of the U.S. Capitol (WTF crazy). He designed a suitcase time bomb designed to work by letting acid eat through a cork, and took the next train to Washington D.C. His goal was to “wake the American people up to the damage which explosives like these were doing abroad”. Well, he went into the Capitol on July 2, 1915 at about 11:40 PM, and with bomb under arm, set it down in a reception room where it wouldn’t hurt anyone, went outside and waited for the explosion, running off to catch a train out of town when the bomb went off. The room was blown apart and a watchman was blown off his seat some distance away, but the story only merited a tiny blurb in the NY Times that attributed the explosion to “gasses”. Step two in his grandiose plan was to take the train to Glen Cove, Long Island, home of industrial magnate J. P. Morgan Jr. Holt’s goal was to hold Mrs. Morgan and the Morgan kids hostage until J. P. agreed to stop sending munitions abroad. Well, after forcing his way into the house, J. P. stormed towards Holt and was given a warm Cornellian greeting by receiving two Big Red and bloody gunshot wounds to the groin as the British ambassador (Cecil Spring-Rice) and a butler subdued the German madman. This time, Holt earned himself the first three pages in the Times. While taken into custody, a grimmer part of his plan was revealed, as he planned to blow up several munition ships while they were at sea. It didn’t help that while he hadn’t plant any bombs yet, one munition ship (the “Minnehaha”) caught fire, and they thought it was one of his bombs, and it returned to port in a panic. Of course, the press had a field day with the story. While Morgan survived without major aftereffects (he lived another 28 years), Holt was exposed as Erich Muenter, the Harvard wife-killer. After trying to kill himself using by using the metal part of an eraser cap to try and cut an artery, he literally launched into a second attempt by climbing over the Mineola jail’s lattice bars and throwing himself head-down to the concrete floor 18 feet below. His second attempt turned out to be successful. Word to the wise – you may not be the richest or most famous person to come out of Cornell, but things could be a lot worse. This is one alumni club that everyone should avoid joining. Cornell has always been an institution known for its academics, which is perfectly fine. However, for many years, day-to-day life was a bit of a drag. A hundred years ago, one had few options – if you were rich and/or well-connected (as well as white and Christian), you enjoyed the exclusivity of Greek life; if you were independent, then your options were pretty limited, your social activities confined to the (even then) socially conservative Cornell U. Christian Association’s social rooms, or to the cheap and rather ungainly boarding houses of Collegetown and the city. Around the early 1900s a movement began that was purely social in nature, vestigial in purpose but attention-grabbing in activity. Hat Clubs were formed by several different student groups. Hat Clubs only existed for one remarkable purpose; they instilled upon their members the right to wear a certain, funny-looking hat [Bishop 409]. Yes, life was that boring. On a deeper level, the clubs were designed to instill a sense of camaraderie among students and to allow friendships to be built among students who couldn’t afford or were excluded from other social societies. Well, needless to say, campus leaders (read: rich white fraternity men) were not pleased. The presidents of fraternities and the editor of the Daily Sun publicly denounced the existence of these silly groups, and in 1913 they decided to take action against them by drumming up public disapproval and by trying to force them to disband. It’s hard to try and compare this to today’s Cornell because the idea seems far-fetched. These clubs were nothing more than run of the mill clubs; they rarely maintained a permanent house or meeting place (dues were quite low as a result) and meetings were few and far between. Dinner banquets (often at a boarding house or cheap banquet hall) and social gatherings were their only real activities. Hat Clubs occupied a sort of hazy area vaguely similar to prominent clubs on campus today. Well, thanks to the work of the well-connected, most of the clubs succumbed to bad P.R. and ceased to exist by the end of the decade. However, two survived. Originally, these two clubs were called Mummy and Nalanda. However, to avoid some of the bad publicity, they changed their names, to Beth L’Amed and Majura respectively. They managed to not only survive the decade, the went on to exist for another forty years. A Cornell Alumni News from December 1936 provides a little background. Mummy was founded in 1900 by the freshman class (1903). Nalanda began with the following freshman class (1904), and the Class of 1906 had a new club (Stoic) that was quickly taken over and absorbed by Mummy. Mummy and Nalanda would alternate, with Mummy pulling students from classes with even years, and Nalanda from odd years. The two changed their names in 1911 (a discrepancy when compared to Morris Bishop’s account) after their hats were outlawed. According to the article, they were an active part of Junior Week and Spring Day (the predecessor to Slope Day), and did a reunion dinner at the Cornell Club in NYC every year on the Friday before Thanksgiving. A quart of martinis in an hour? Holy crap. Personally, I can’t stand gin. The taste of gin is like running through a pine forest with your mouth open. But, to each their own. …and with that, the Hat Clubs were confined to the dustbin of history. 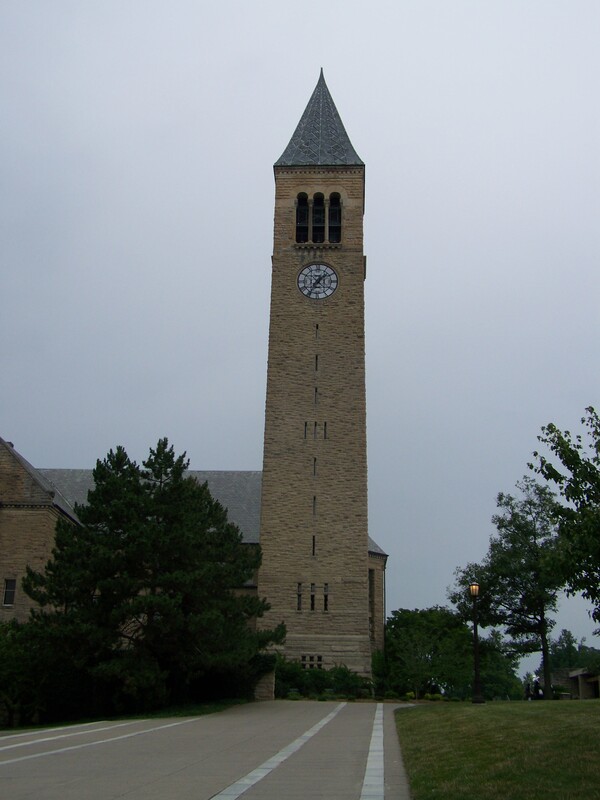 Hazing at Cornell: A Tradition? So, I’m sure there a couple of pro-Greek readers who are already feeling a little twinge of concern regarding the title of this article. I have little interest in pursuing current events regarding hazing (except for News Tidbits entries). I’ve graduated, and unless I get an email on my fraternity’s alumni listserve that says they’ve been suspended or kicked off campus (heaven forbid), I’m not going to pay attention to the half-hearted attempts of the current Tri-Council to police its affiliated chapters. More importantly, hazing is not just limited to the Greek system; campus clubs and intercollegiate sports teams have been guilty of hazing practices as well. According to Cornell’s anti-hazing website, the definition of hazing is very vague, and just about anything that causes physical or mental discomfort is hazing. In that vein, a pledge quiz or an extra lap for the new track team distance runners could conceivably be hazing. However, most people have a pretty good idea where the line is crossed between hazing and non-hazing. Historically speaking though, Cornell’s tradition of hazing in its more recognizable forms goes back virtually to the founding of the university (and on a larger scale, back to the times of ancient Greece). The first hazing death at Cornell (and the first Greek hazing death in the country) would occur in October 1873, only eight years after the university’s founding. Mortimer N. Leggett was a member of the class of 1877, a freshman who had arrived on campus only a month prior. He was well off, the son of General M. D. Leggett, the U.S. Commissioner of Internal Revenue. He wrote home nearly every day and spoke very highly of Cornell and its students. He received an offer to join the Kappa Alpha Society (up until the middle of the 20th century, freshman could join fraternities as soon as they arrived on campus), which he regarded highly for its abstinence from strong drinks and prohibition of foul language among members. Well, one night in early October, Leggett was blindfolded and transported into the countryside, and told to find his way home. After some time wandering, two sophomores of the society met up with him, removed his blindfold, and they began to walk back in what they thought was the right direction. Tragically, as they were unfamiliar with the topography, all three stumbled off a gorge cliff near modern day Giles Street in Ithaca, and fell into Six Mile Creek below. Mortimer Leggett succumbed to the injuries sustained in the fall, and the two sophomores were seriously injured. While obviously upset over the incident, General Leggett concluded no real hazing had taken place, just some “hocus-pocus” that went horribly wrong. He later accepted honorary membership into the fraternity [Bishop 132]. Twenty years later, another death from a hazing prank occurred. This one requires a bit of a background explanation. Up until about the late 1930s, the sophomore class always battled the freshman class as a rite of passage. Basically, the two classes were to beat the living crap out of each other as a way to attain/maintain dominance. Formally known as rushes, the brawls were so bad in some years that the Ithaca police had to break it up, akin to a massive riot. Well, after the frosh won a sporting event in early 1894, the sophomores devised a scheme to pay them back. While the frosh were attending a formal dinner at the Masonic Temple in downtown Ithaca, several sophomores drilled a hole into the floor above the party, inserted a tube and attached it to a chlorine generator [Nuwer 105] . However, they misdrilled, and instead of pumping gas into the banquet hall, the chlorine was pumped into the kitchen, near a stove. It was suspected the the chlorine chemically reacted with small amounts of carbon monoxide to produce phosgene, a compound made famous as a chemical weapon during WWI (basically, it destroys the body’s ability to carry oxygen from the lungs and into red blood cells, leading to choking fits and suffocation). The freshmen began to have coughing fits and breathing difficulties and promptly evacuated the premises. It wasn’t until about 3 AM that the body of cook Henrietta Jackson was discovered in the kitchen. Cornell turned the matter over to police, but the police nor private detectives not a hefty reward from faculty could draw out the culprits of the crime. In the Book Wrongs of Passage by Hank Nuwer, at least two other hazing deaths occurred in the late 1800s, but these are not explained in detail. Notably, these are just some of the higher-profile cases. Times change, and there haven’t been fatalities at C.U., but hazing continues in its dangerous forms. Fast forward a century. Prior to the late 1990s, the house at 409 Elmwood Avenue in Collegetown was the house of Alpha Phi Alpha, a very-well respected, historically African-American fraternity. In the fall of 1994, an Alpha pledge named Sylvester Lloyd was beaten so badly that he needed skin grafts to repair the damage and blood transfusions to limit infection. The fraternity lost recognition and Cornell attempted to sell the house (based off later university maps, it seems they were successful, as it’s not listed as a campus property). Lloyd sued the fraternity and Cornell for several million dollars, but the case against Cornell was dismissed (can’t seem to find how much he got from the fraternity; but his linkedin profile is one of the first things that comes up in google). The fraternity closed, reopened and struggled from about 2003-2006, and closed only to restart again about two years ago. It’s a messy history and their hazing incident is a big reason why. Then of course, there’s the expose Adam Zwecker wrote, “Hazed and Confused”, which was published in Spring 2004. The house involved has its identity kept a secret, but it seems folks have a pretty good idea who it is. I’d discuss this work more, but I’ve already profiled it in previous entries; it’s a really good read if you have a half hour of time to read through it all. Hazing continues today; several organizations have been punished (I use that term lightly) for hazing in the past few years, the latest being Alpha Delt’s “Ivygate Affair” (fun fact – I edited the article on that incident because one pledge’s father would not leave me alone until I did). It’s not right and it’s hardly justifiable, but it still happens and it will continue to happen. Even if we had no Greek system, hazing would still exist on campus. Even if you took away the sports teams, and the service frats and the clubs, it would still exist. Sadly, I think the university can try its damndest to control it, but it will never go away completely. But it doesn’t hurt for the university to try to do what it can to protect the students’ well being. News Tidbits 8/5/10: Structural Coincidence? 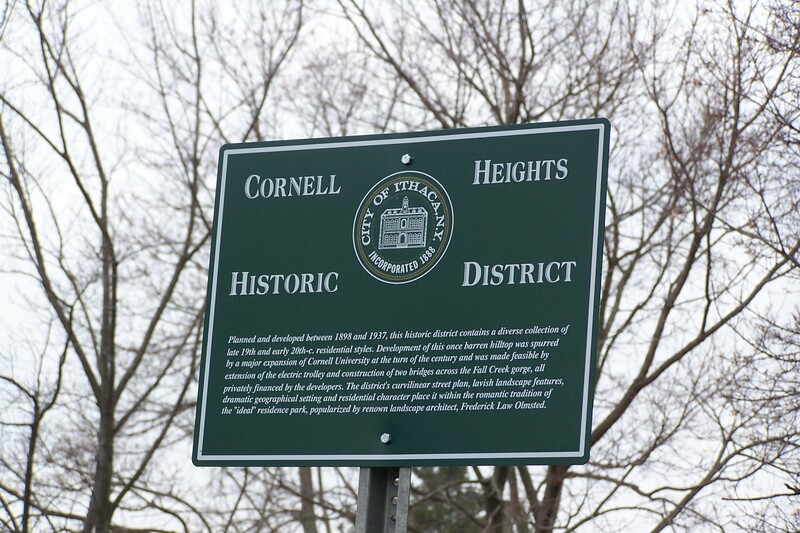 So, the Ithaca Journal is filled today with articles concerning Cornell’s South Hill neighbor, Ithaca College. Which is great, since they are a good school in their own right and they tend to be overshadowed by its ivy-cloaked neighbor. So, the one article was about how their enrollment is back on target this year after having too many incoming last year (by most regards, a fortunate problem to have). The other article, much more in line with the general themes of this blog, was a review of the $65.5 million, 130,000 sq ft Ithaca College Events Center that is under construction, and currently around halfway towards completion. 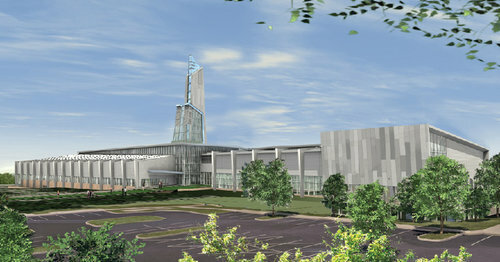 One of the big architectural features of the building is a a large, structually-incorporated cooling tower designed to be a focal point of the structure and to be visible from most of campus. The height of the tower? 174 feet. The height of McGraw Tower on Cornell’s campus? 173 feet. So, McGraw Tower is no longer the tallest structure in the county (not including radio masts). After 119 years, it is losing its title to Ithaca College’s new activities center. Although I never saw anything that indicated as much, I’m willing to wager that this was intentional, to draw more attention to the new “tallest building” in the county. Even though the tower is uninhabitable, the lower floor(s) of the building are, so it qualifies as a true building. McGraw doesn’t qualify since it’s only a clock tower. Bradfield, the tallest true building in the county, is only 167 feet. In conclusion, I guess size does matter when it comes to bragging rights.